The AGHA Sydney Gift Fair is starting on the 24th until the 27th February, and as usual, we will be exhibiting. We will be launching over twenty new products including planters, decorative fire bowls, furniture and we have expanded our pet range and will be showcasing fifteen new additions! As you would expect, they’re modern, unconventional and very exciting. 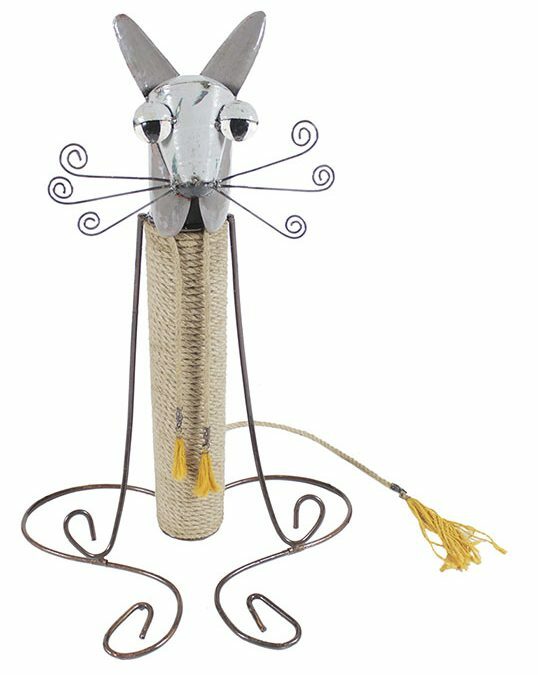 It’s All About the Zen cat scratcher, pictured above is just one of several quirky and exciting products. Aaron said: “We cherish our pets and local wildlife and so we wanted to create a line which struck a perfect balance between function and design, which we believe we have accomplished with this range. People want something different for their pet and garden that stands out from the crowds and acts as a talking point from all the mass-produced paraphernalia that’s out there – we find this even more so with pet product designs, which until recently have veered more towards traditional and safer designs’’. Come and visit our stand this year, you will not be disappointed! As usual, we have launched some amazing new gift items that will really surprise and delight you! 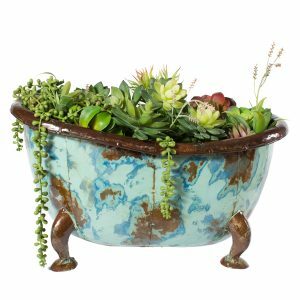 Rub a Dub Tubs – Set of 3 stunning Victorian-era style bath tub planters!